Boulevard Chauffeur offers airline crew transportation for crews operating out of the Austin Bergstrom International Airport. Our experienced drivers are available to transport airline crew members to and from the airport to any location within the greater Austin area. Our vans offer convenient, efficient and safe transportation for airport crews whether you are based locally or just stopping in town for a layover. We know that getting to and from the Austin airport can be hectic and involve a lot of traffic. Boulevard Chauffeur will ensure airline crews traveling to and from the Austin airport are picked up and dropped off on time between flights. Let our van transport provide you with a comfortable and stress-free way to get to your destination after a long day of flying. Boulevard Chauffeur offers modern, clean and comfortable vans and airline crew transportation to and from the airport. We assure you arrive on time and are picked up as close to your gate as possible. 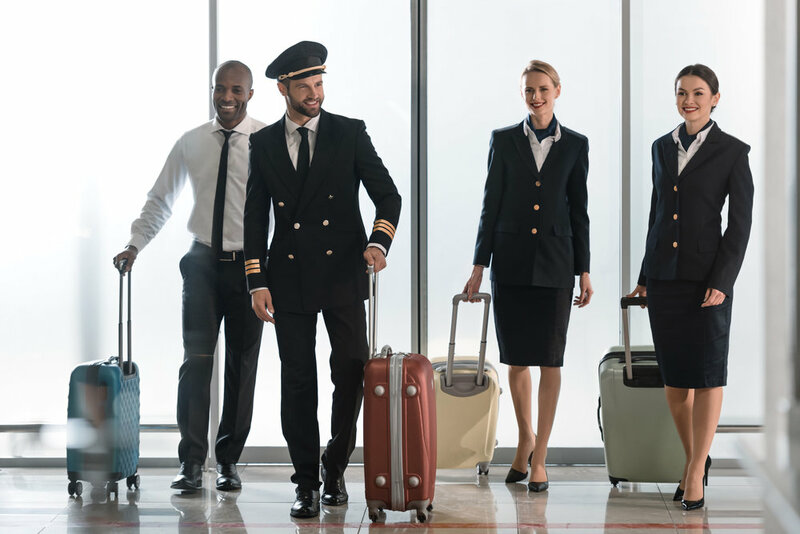 We know airline crews travel to and from the airport frequently, and our focus is to make this journey a comfortable and stress-free experience. We offer airline crew transportation to any location, from a quick ride to a nearby hotel to a drive home anywhere in the greater Austin area.